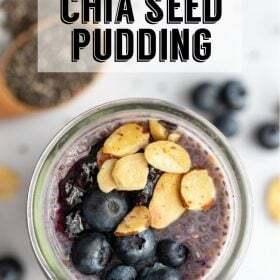 Chia Seed Pudding- this healthy breakfast pudding is SO easy to make and great for meal prep. 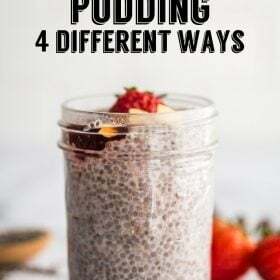 I show you how to make it with 4 different flavor options: blueberry, strawberry, cinnamon vanilla, and chocolate. Welcome to another old blog post revamped! 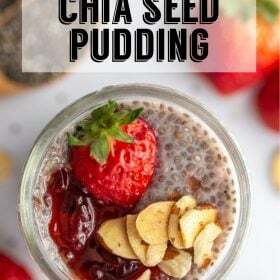 This chia seed pudding recipe is one of the very first recipes that I shared on my blog (if you scroll all the way down, you can see what one of the original photos looked like). After FIVE years, I figured that it was time for this post to get a complete makeover, complete with a fancy new video and everything! 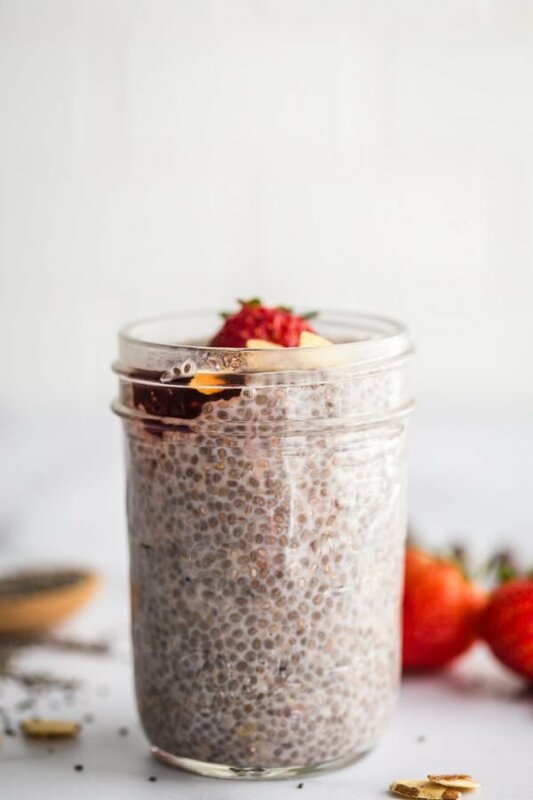 But first, a question: have you ever had chia pudding?? It’s one of those things that I always thought I hated until I just finally tried it. 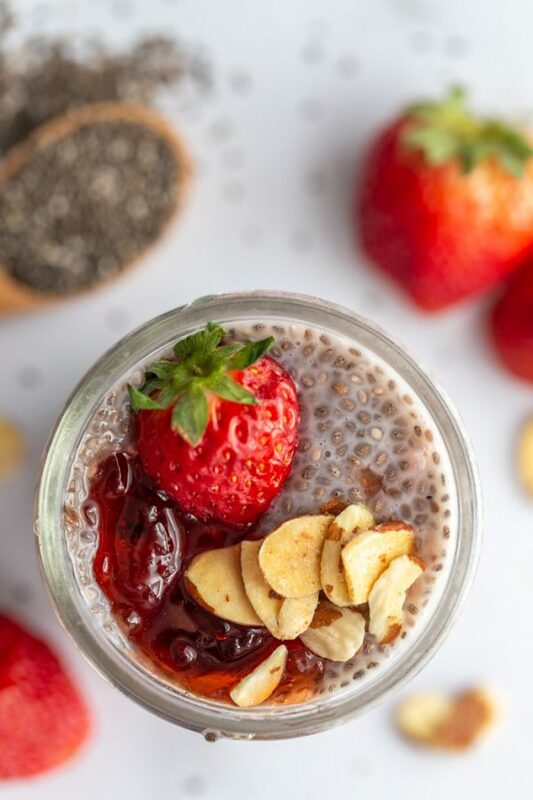 Chia seed pudding has a texture a lot like tapioca and it can be a little weird at first. But if you can get past the texture, it’s SO GOOD (and, ahem, so good for you! 💩). If you’ve never made it before then you might not know how ridiculously easy it is to throw together. 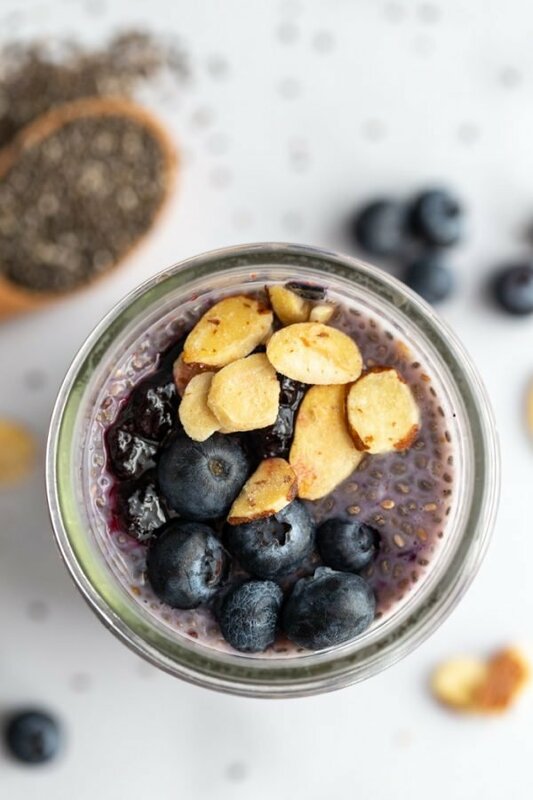 No cooking or chopping is required and it’s a great meal prep breakfast or snack. 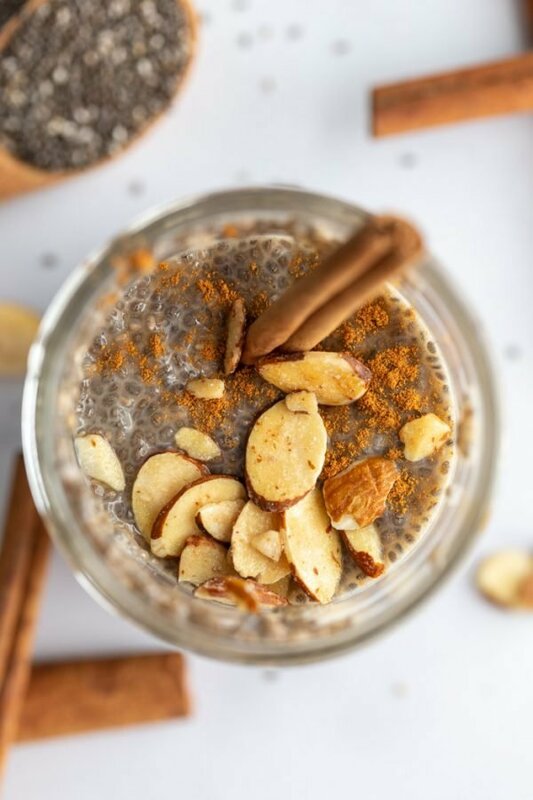 I’ve worked out the perfect chia seed pudding ratio of chia seeds:liquid. 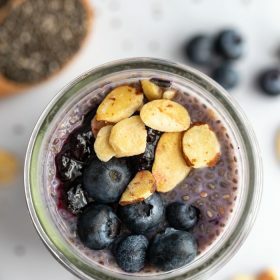 My recipe uses 2 tablespoons of chia seeds to 1/2 cup of liquid. So, what kind of liquid should you use? You can actually use whatever type of liquid you want including water. I like using almond milk or coconut milk for a creamier texture. I’ve tried it with water and while it works, I don’t really love it. 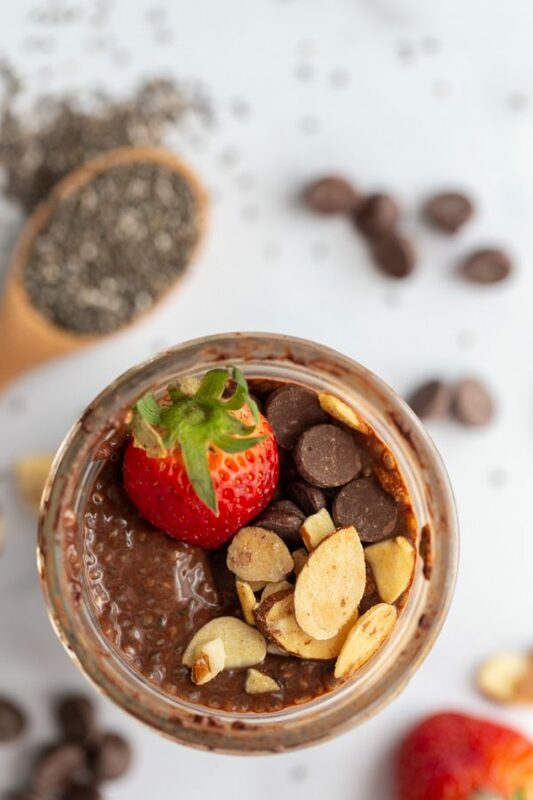 To make the pudding, simply combine all of the ingredients in a container and mix thoroughly. If you’re using fruit, you’ll want to mash that up before mixing it in with the other ingredients. 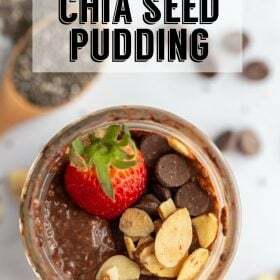 For the chocolate version, it’s helpful if you mix the cocoa powder with about a tablespoon of hot liquid in order to dissolve the cocoa powder. Place in the fridge for at least 4 hours but you can also leave it overnight. AND that’s it! Ohh I love this! AND it’s a vegan option. Thank you Brita! Totes making this tonight for breakfast tomorrow. Yumm!! I have your same “diet” philosophy these days–and it actually works out well and is low-stress :) Plus, you always gotta live a little! Yum! 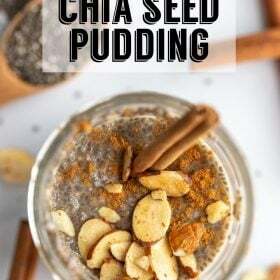 I haven’t really played around too much with chai pudding, I usually just use my chai seeds for overnight oats. But these recipes sound amazing, I will have to try them all! Yes! 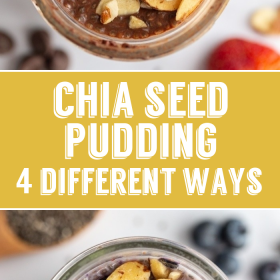 Definitely try it especially if you’ve got some chia seeds lying around. It’s SO good! You say 1/4-1/2 Fruit. I assume that is 1/4 – 1/2 cup. Is that correct? yes, it should say a 1/4 cup of fruit. Sorry about that!